"After working a general area for a while with no results, I'll make a big move of a quarter mile or so. 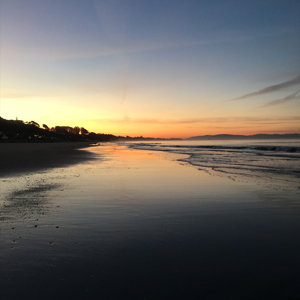 After all, this whole fishing thing was just a great excuse to take a walk on the beach in the first place." If I don't fish at least once a week I tend to get a little squirrely. Being on the water in pursuit of something with fins and gills gives me a sense of peace. It's just the nature of who I am. When I get the feverish desire to be in the environment that I love, I grab my rod and head out the door. 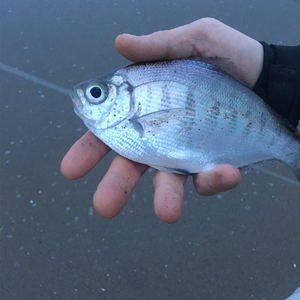 If nothing else is running or on a good bite, weather permitting, I know I can always chase surfperch at the beach. Surfperch are simple, fun and easy to pursue. If my feet are getting wet, then I'm standing where they're swimming. I don't have to worry about the trailer brakes locking up or how much fuel is in the boat. In the summer months, I don't even need a pair of waders as long as I can handle a sand crab crawling between my toes from time to time. Surfperch are not finicky so I don't need a box full of expensive lures and gear. All I need is my rod, a couple of basic baits and something that doubles as a coffee mug and carrier to go have some fun. The term "Surfperch" refers to roughly a dozen different species of the family Embiotocidae who are found on the West Coast of North America from Baja California to Alaska. They are a small oval-shaped fish with a maximum length of 4 to 18 inches depending upon the species. Compared to other saltwater perches these species are almost exclusively found in the shallow sandy areas of the surf zone, hence their name. Their lifespan per species can range from 5 to 15 years and typically adults become sexually mature within a year. Unlike most other fish, surfperch are viviparous or livebearers meaning the young are nurtured and developed inside the female until being born as a fully-formed miniature version of the adults. It was both totally cool and totally weird to see one give birth for the first time. Surfperch are opportunistic feeders that rely on the power of crashing waves to stir up the sand revealing food sources. They have small teeth up front to grab prey and crushing teeth in back to help break up harder creatures. Their diet is varied and completely dependent on availability. Some species such as barred surfperch can feed almost exclusively on decapods such as sand crabs, yet other species like redtail surfperch can have small fishes account for half of their diet. Still, other species may rely solely on other invertebrates like sand worms or shrimp. If something is being tumbled around in the surf and resembles a miniature version of an alien creature from a "B" sci-fi movie, these perches will try and eat it. Here is where the beauty of the pursuit begins. First, you don't need a custom surf rod matched with a fancy reel to get started, any spinning rod set up from light to medium-heavy will do. The lighter you go the more fun fighting the fish in the surf gets. I occasionally catch surfperch on one of my ultra-light trout rods rigged with a 4 pound test line from time to time. I don't recommend doing this if you are just getting started but after getting the hang of things go for it if you want a real challenge. "Some species such as barred surfperch can feed almost exclusively on decapods such as sand crabs." The best rods for this pursuit will be 7 feet or longer and recommended for lines in the 8-20 pound test range. One factor to keep in mind is that you will need a rod with enough backbone to cast weights up to 1 ounce and handle an occasional bonus small halibut or striped bass. Seven feet or longer rods are my preference for both casting distance and a better ability to raise the line up out of breaking waves. Good sensitivity is a bonus as surfperch can peck and nibble at baits. Most high modulus graphite rods are more than adequate. At the entry level, Berkely 7-foot-6 AMP saltwater spinning rods work well and on the high-end, something like a Shimano 7-foot Teramar SE Inshore spinning rod is a good suitor. My normal rod for chasing surfperch is a private label 9-foot, medium power, extra fast taper, IM-7 graphite steelhead spinning rod rated for 8-15 pound test. 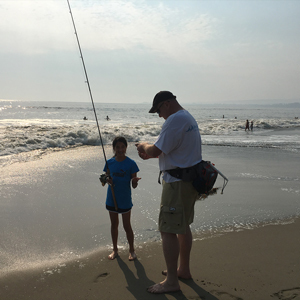 The rod is on the light side for a dedicated surf rod but it can handle the occasional small striper and it has good balance and sensitivity. Pretty much any durable 2500-4000 series reel with a large arbor will work well. You'll need some capacity to make long casts and handle a long run from larger species but nothing too big. Daiwa's Fuego and Penn's Fierce models in 2500-4000 sizes are perfect and hold up fairly well to the saltwater environment. I currently run a Shimano Symetre 4000 that's been a good friend for a long time. The reel is over 10-years old but still does the job well. I'll likely upgrade to a Penn Conflict once it dies, hopefully not too soon. Everyone I fish with uses something different. Some prefer mono, others hybrid or braid. One angler I see quite a bit runs only 8 pound test and another never fishes anything under 15 pounds. Clarity and/or color of line are really non-factors as the surf zone is usually a murky, turbid mess and surfperch are far from "line-shy". As long as you have faith in your line's knot holding ability and it casts well, spool up with your preferred choice of line. My personal preference for the set-up I run is 15 pound test Power Pro in moss green. Running the braid adds a sensitivity boost allowing me to feel every grain of sand and the small diameter allows me to cast a mile with a three-fourths or 1 ounce weight. "Seven feet or longer rods are my preference for both casting distance and a better ability to raise the line up out of breaking waves. Good sensitivity is a bonus as surfperch can peck and nibble at baits." There are two primary methods most surfperch anglers use: casting lures and soaking bait. I'm only going to talk about artificial lures. Bait is effective but it's not my thing. As mentioned before, surfperch are opportunists and readily gobble up pretty much anything that looks and tastes alive so there are a lot of options. Ninety percent of the fish I catch come on either a Berkley Gulp 2-inch Sand Worm or a 1 1/2-inch curl tail Grub. Occasionally I will tie on a small fly but the worm and grub are effective on their own. 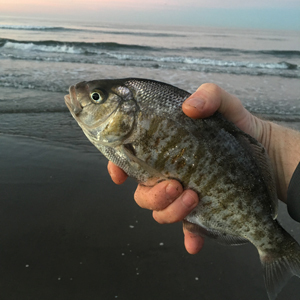 The 2-inch Sand Worm in camo color from Berkley is by far the most popular bait for surfperch on the beaches of Monterey Bay. Its size, shape and pre-scented composition make it extremely effective. 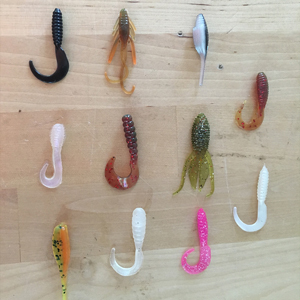 Small soft plastic grubs (1-2 inches) usually the type associated with bluegill and crappie, are also very effective. Manufacturers make a myriad of lure shapes and colors, all of which will catch surfperch. 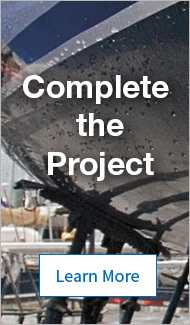 Some companies like Kalins and Big Hammer have colors specifically designed for this pursuit. These are usually natural in appearance and augmented with some colored glitter or metal flakes such as motor oil, watermelon and pumpkin seed colors. On the opposite side of the spectrum, bright colored grubs like fluorescent pink, orange and pearl white can be equally as effective. I usually fish a dual dropper rig starting with a pearl white grub and a motor oil with red flake grub or sand worm. I'll switch around colors until one produces well. Some days they want dark, some days bright, some days sparkly and some days anything will work. All of my baits are rigged with the hook exposed. In addition, when the bite is a bit slow, I'll use some scents like the Pro-Cure Gels to sweeten the presentation. "Surfperch are opportunists and readily gobble up pretty much anything that looks and tastes alive so there are a lot of options"
There are two primary rigs which work extremely well for perch. One; the aforementioned dropper rig (two or more hooks) and the sliding rig. I use 12 or 15 pound test mono line and size 6 or 8 Gamakatsu Octopus hooks for both. Other anglers will swear that size 4 hook is the way to go but I feel like I hook more fish on the 6 and 8 as opposed to the 4. The dropper is run with two hooks occasionally three. The rig is tied with a swivel to the main line on one end and a snap swivel to a torpedo weight on the other. Two or three dropper loops are tied about 18 inches apart and cut into leaders T in-between. The whole rig will measure 4-5 feet. I tend to fish the dropper rig more as it allows me to throw multiple baits and mix up colors. I find that tangles are much less as opposed to the slider rig and I tend to have a tighter connection to the baits when working them in the surf. The slider rig is very simple. I run anywhere from a one-half to 1 ounce egg weight on the main line with a 6-8mm bead to a swivel. I prefer Mono leaders of 12-15 pound test, from 18-36 inches with a single hook tied on the end. The slider has its advantages in less turbulent water when the forces of the surf are light due to a small swell. This rig allows the bait to drift and tumble around more freely. In addition, there is less resistance for the perch on an initial bite allowing them to take the lure more easily. The drawback in this method is that it tends to deep hook more fish. Not a concern if I'm planning on making fish tacos but not so good when catch and release is the theme of the day. "Surfperch are a small oval shaped fish with a maximum length of 4 to 18 inches depending upon the species." The technique for working these rigs is as easy as it gets. After heaving a cast, I take up the slack and keep taught to the weight. The force of the waves will drag and bounce the rig along. All I need to do is slow down, keep the line tight, and let Mother Nature do most of the work. Occasionally I'll give the baits a slow pull of a foot or two. No rapid twitches or constant moving of the rig is necessary. The surf tossing and tumbling around will impart more than enough action to my presentation. A typical cast should take at least a minute or more for me to slowly reel in, any quicker and I'm working the rig too fast. The surf zone can be a desolate landscape barring any significant structure or cover. For that reason the most subtle of differences will attract fish like crazy. After throwing 3-5 casts in a spot and no action, I'll move 50 feet or so up or down the beach. I try to keep an eye out for tell-tale signs of life in the water. Sand crab shells washed up on the beach are a sign that they just molted. Swarms or small shorebirds (Plovers and the like) working the wet sand are also an indicator that an abundance of invertebrate life is present. The surf constantly creates small humps and depressions so I'm mindful of bottom contours or any type of hardness change. I look for eddys, rip-currents and any oddly flowing water which may point to bottom differences. Perch will usually stack up along the edges of currents and lay in the depressions. When retrieving my baits I'm mindful of the distance out when I get bit. It's likely that the baits passed through a depression and there are more fish to be had in the same spot. If nothing is happening I'll change baits or location, try different scents on the baits or do all three. The key for me is to bump around until I get bit then work that area for 10 minutes or so. If after working a general area for a while and with no results, I'll make a big move of a quarter mile or so. After all, this whole fishing thing was just a great excuse to take a walk on the beach in the first place. Since catching a bluegill from a farm pond at 4 years old, Rob has been a passionate and dedicated angler. 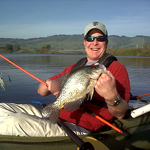 He currently resides in Northern Coastal California and is a die-hard salt and freshwater kayak fisherman. His angling adventurers have allowed him to do everything from working commercial salmon boats, pursuing a career in tournament bass fishing to landing a blue marlin in Hawaii and an Arctic grayling in Alaska. His angling bucket list is to catch and document a different and unique species of fish for each of the 50 states.